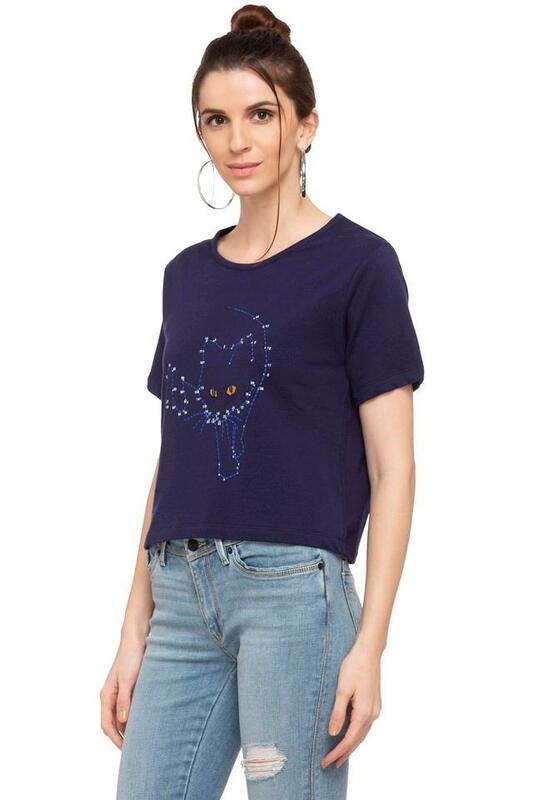 Elevate your stylish collection with this t-shirt from Life. It has been tailored with care using a good quality fabric that makes it both comfortable to wear and easy to maintain. 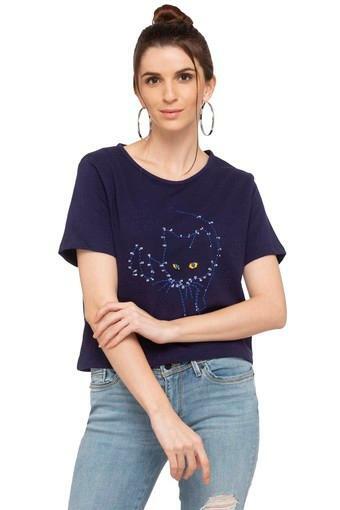 Besides, it comes with a printed pattern that accentuates its look, while the round neck and half sleeves complements its overall style. Embrace your inner rebel chic as you step out in style, wearing this t-shirt. 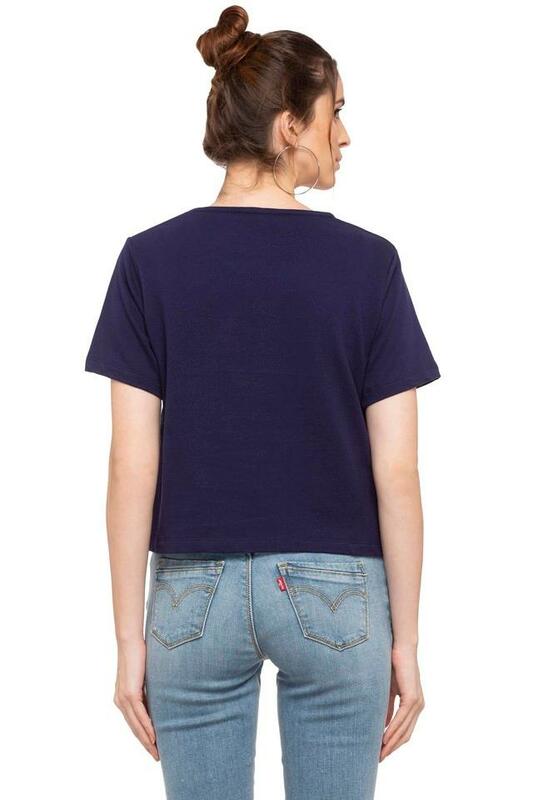 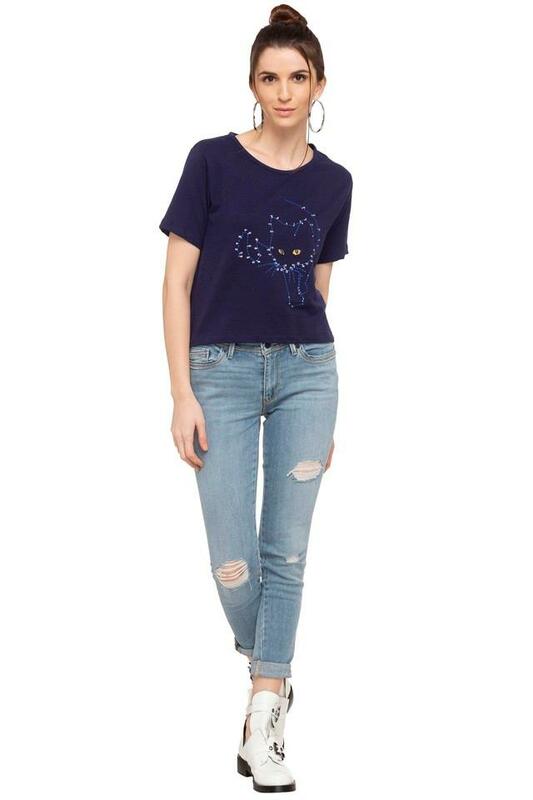 Team this t-shirt with a pair of jeans and sandals for a chic ensemble.